Liverpool FC has today announced Tibet Water Resources Ltd. as their Official Regional Water Partner in China. 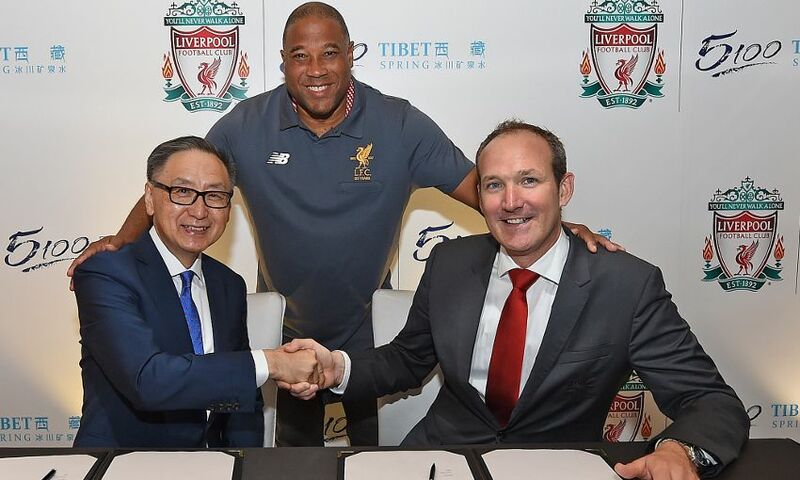 The partnership will see LFC and Tibet Water collaborate to create unique experiences for Reds fans and consumers alike. Tibet Water will also benefit from a range of LFC marketing and promotional rights, including digital and social media support and access to players and legends of the club. Sunny Wong, executive director of Tibet Water Resources Ltd., said: “This marks a major milestone in Tibet Water Resources Ltd.'s development. We are proud to be Liverpool FC’s Official Regional Water Partner in China, one of the world’s most renowned football teams with a massive fan base around the globe. Tibet Water Resources Ltd. strives to provide high-quality and healthy drinking water that is rich in minerals to people who value quality of life. Its bottled water portfolio includes the flagship product Tibet 5100 Glacial Spring Water, which was awarded 'Best Still or Sparkling Water' at the 10th Global Bottled Water Congress, and Gesang Spring, which targets a broader market. As a Chinese company with deep roots in Tibet, Tibet Water Resources Ltd. has always strived for balance between its business growth and economic development in Tibet, as well as supporting the conservation and protection of water sources and the environment across the region.